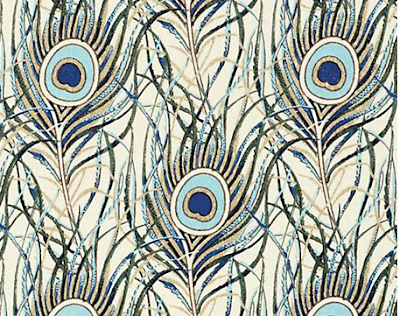 Last week I announced that another V & A organized exhibition is coming to San Francisco: The Cult of Beauty: The Victorian Avant-Garde, 1860–1900 will be on view at the Legion of Honor beginning February 18, 2012. And today, when I opened the December Vogue, I spied an Aesthetic-inspired spread with Hamish Bowles's commentary on the 19th-century artistic movement. So, predictably I'm afraid, here are my three related gift suggestions. Very Nice: Bundle the December Vogue with a copy of the exhibition catalogue. Budget-Friendly, Fun, and Inspired: The December Vogue with an iTunes gift card for the The Cult of Beauty App for iPad. I bought it. Totally worth the $3.99. For me, highlights include: a video with curator Stephen Calloway and Financial Times style editor Damian Foxe supervising a fashion shoot in the Morris Room; the Exhibition Audioguide narrated by Rupert Everett; and the Audiographs of three pivotal Aesthetic Women -- model Jane Morris, poet Elizabeth Siddal, and actress Ellen Terry. 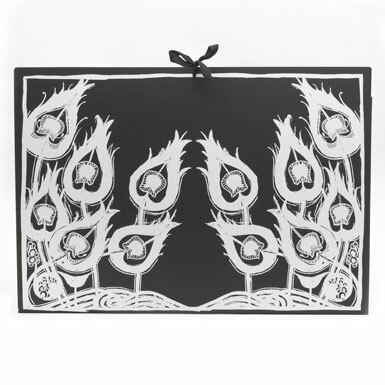 Hopefully many of the V & A's Aesthetic-inspired gift shop wares, like the feathers portfolio or sketch pen with designs adapted from Aubrey Beardsley drawings, will be available at the Legion of Honor winter 2012. What a fantastic idea. Thank you for the inspiration. Funny to see this post because I was just thinking that there has been a mini resurgence of the aesthetic movement. I saw a Michelle Dumas (?) painting recently that reminded me of several Millais paintings. Hope you are well, Courtney. Happy Thanksgiving.